This song was used as the music for Psalm 35. Todd Staheli and I worked together in Scouts at Nottingham Country Ward several times. He was the Advisor and I was the Scout Leader, then he was the Scout Leader and I was the Quorum Advisor. Ben and Paul were playing football at his place for an activity one night. A girl they both like drove up to her house across the way. They were showing off, both dived for the football, and hit each other in the head. Blood everywhere. Head wounds bleed a lot. When Todd and Michelle moved to The Woodlands, they had us up there for dinner, which is when I took the candid inserted photo of Michelle on the phone (she was expecting Logan). When Sara and Audrey graduated from College, we took them to England. 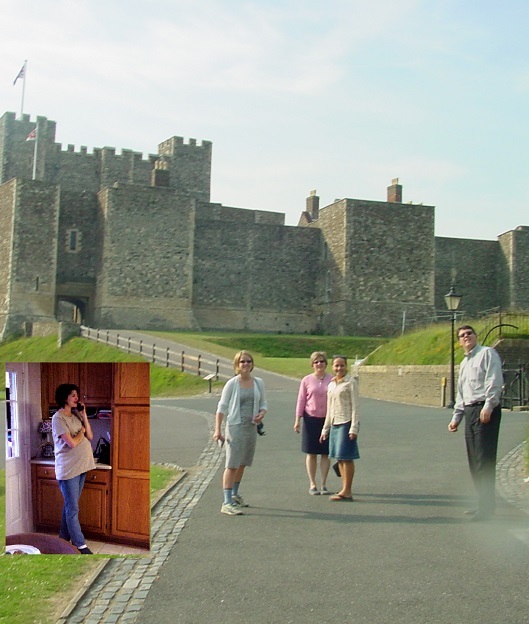 The photo to the left is of Sara Ellyn, Andrea, Audrey, and Todd in front of Dover Castle. Todd hired me to help him with team building at Shell in the marketing to Service Centers. He flew me to New Jersey (I still have a license plate in the garage I found on my run there, when I badly twisted my ankle), to California, and I think there was another session was in Houston. Because I had travelled a lot, and had lived in Saudi Arabia, Todd asked me whether I thought it was safe to take his family to Saudi Arabia. I told him yes. Boy was I naive about the risk he was taking. This was before 9/11. He moved from there to London, which is where we met them when Todd went with us to Stonehenge, Canterbury, Dover Castle, and The White Cliffs (Michelle was with Madison on a school trip). While Andrea and the girls climbed down to the ocean at The White Cliffs of Dover, Todd and I sat in the car and talked. He told me about all of the trials he had had getting a pipeline authorized in The Ukraine. I caught him up with my new city plans, which we had talked about a lot on various camp outs. Todd grounded me. Very smart, and not afraid to tell me what he thought about my out-of-the-box ideas. When I left Continuum and was thinking of starting a newsletter and seeking subscriptions, he pointed out I would have a hard time finding anyone to pay for it, because there is no one else who thinks like I do. We were true friends. Then he moved to Rio de Janeiro, Brazil. He and Michelle were killed in their bed by someone with a hatchet. When I told David Kessler, he said: “Russian mafia.” I have felt the murder was related to that happened in The Ukraine. 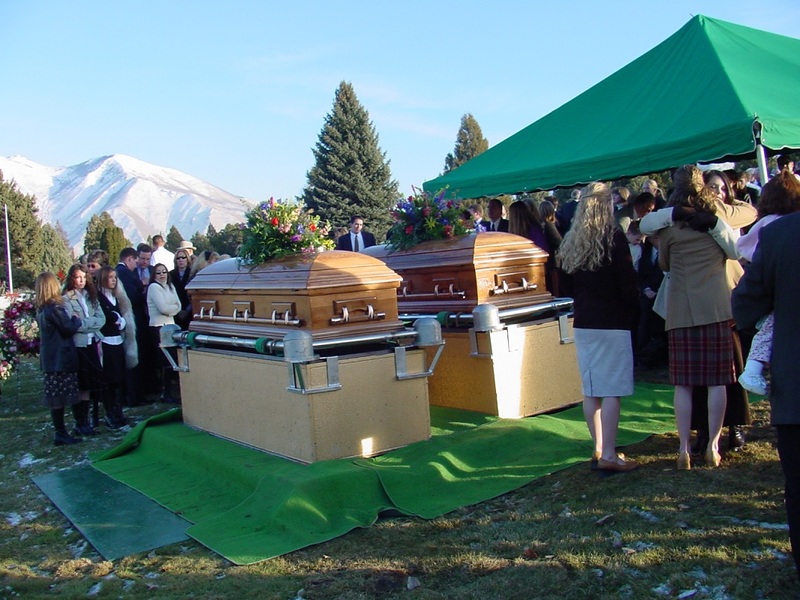 The extended photo shows Todd and Michelle’s caskets at their funeral. 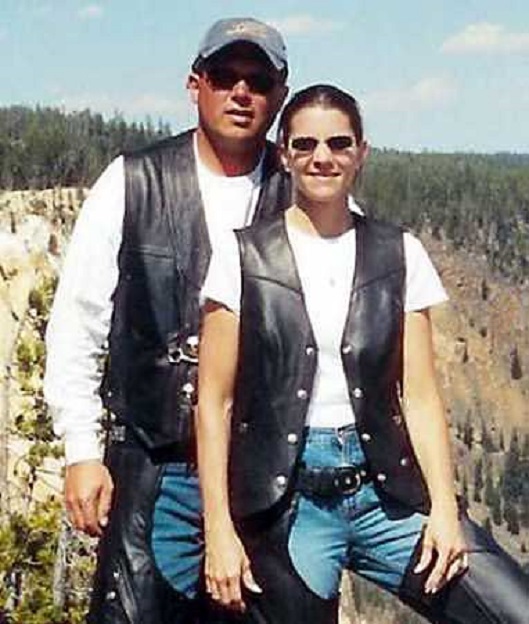 The only photo the newspapers had was a photo of Todd and Michelle in their motorcycle leathers. Words cannot express how sad I was because of the murder of my friend and his wife and the trials it brought to their children.